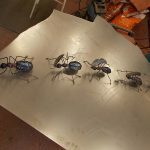 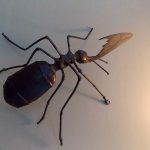 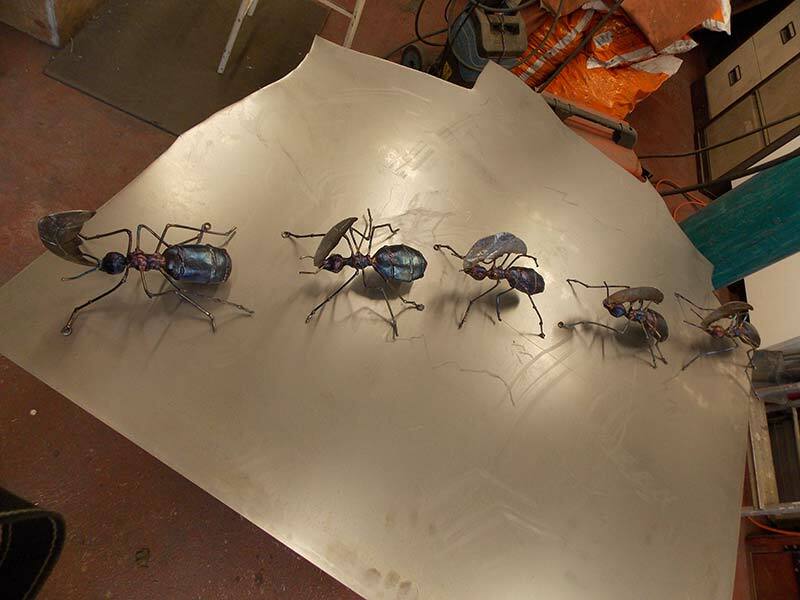 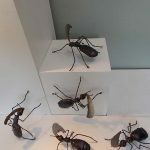 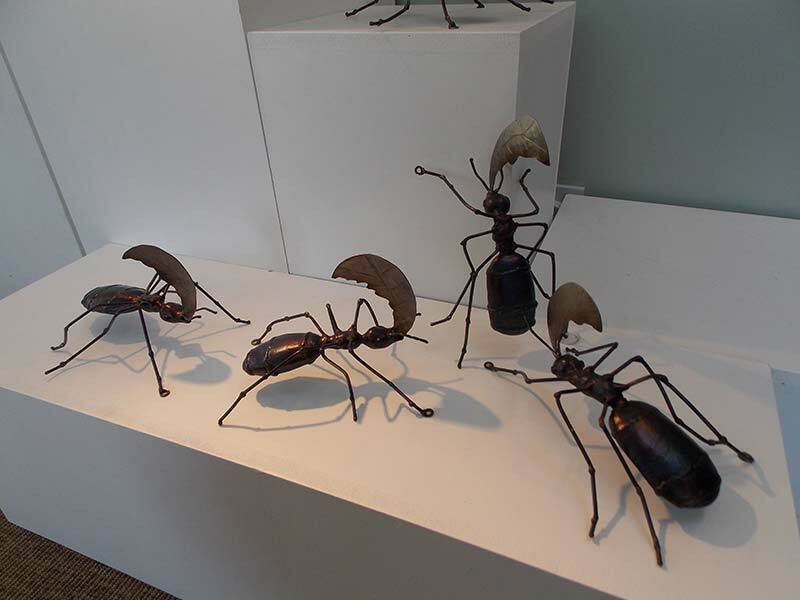 The March of Ants are a five strong group to be installed at the garden entrance to advertise Nigel’s new work and work already in situ on the Hidden Gardeners Trail. 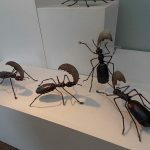 He has been offered artist in residence status by the owner Chang Li and will also be exhibiting in the shop/gallery and possibly even doing a workshop at the gardens in the next 12 months. 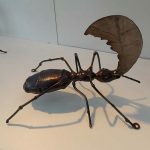 The trail is being revamped and relaunched by a Falmouth firm called www.spottydogtrails.co.uk . 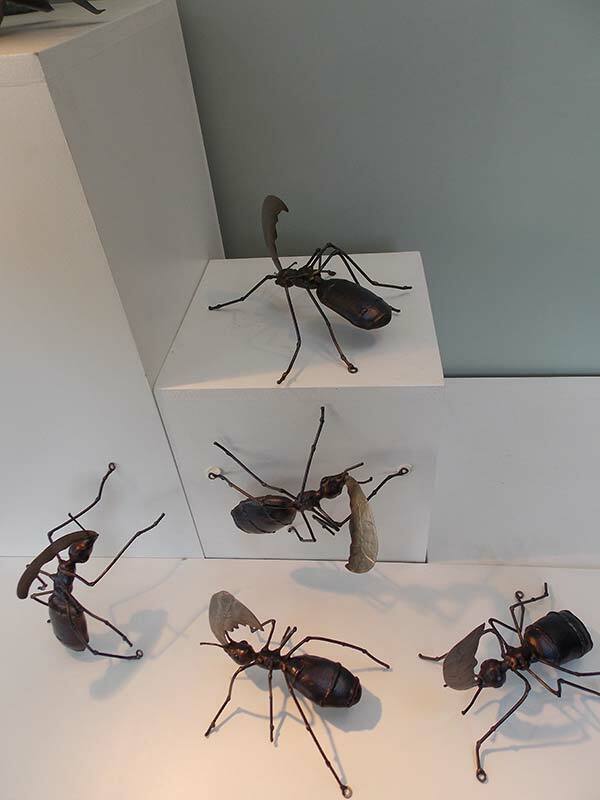 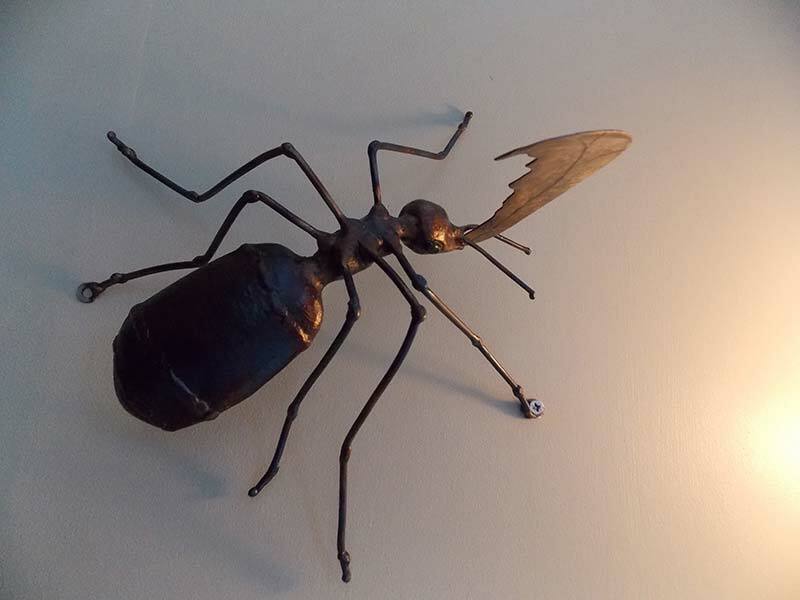 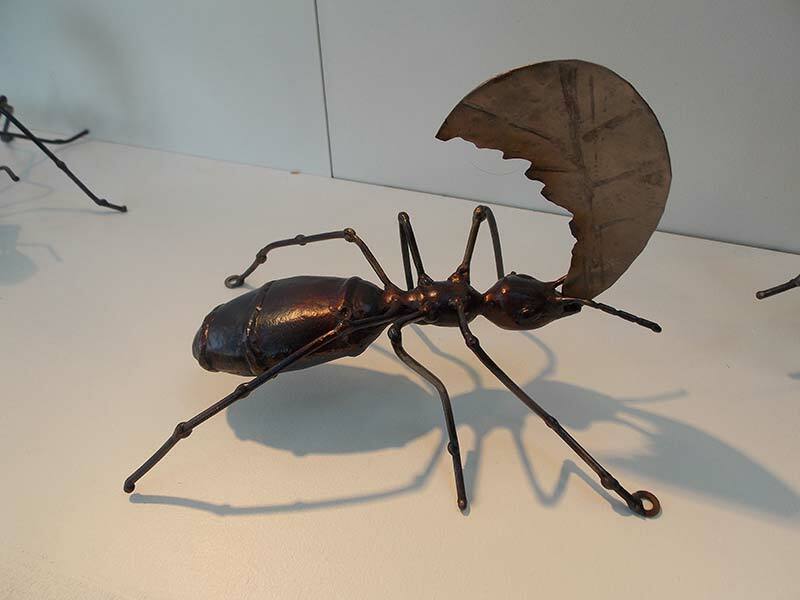 The Ants are approx 20cm long x 10cm wide x 8 cm high if sold individually they would be £95 each as a set/march £450.